According to a study conducted by the Mental Health Foundation, 46% of British people regret not investing as much time as they should into relationships. The report, which was released in conjunction with Mental Health Awareness Week, also discovered that men are more likely to feel regret compared with women. Although building strong relationships can have a positive effect on our mental health and well-being, many of us are falling short when making connections. 50% of men surveyed said that they expressed remorse about missing out on relationships, compared with 42% of women. The Mental Health Foundation are championing the idea of asking friends and family members how they are really feeling, so that people who are affected by mental health problems know they have someone they can talk to. 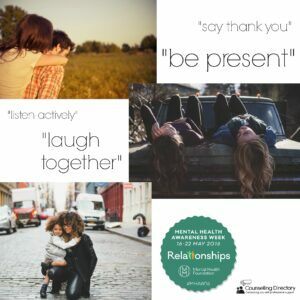 The report highlighted that 38% of respondents chose maintaining healthy relationships as ‘most important’ to their well-being. Whereas eating healthily only figured in 16% of votes, exercising with 10% and then avoiding negative habits with 8%. Even with the majority of us recognising the importance of relationships, we are over three times more likely to make a change to our physical health in comparison to making a positive change with our relationships with family and friends. 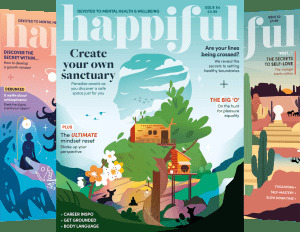 The charity’s reason for this survey was the result of a review of global evidence pointing to strong relationships leading to us living happier, longer lives with less mental health issues. The chief executive of the Mental Health Foundation, Jenny Edwards, said: “It’s time to recognise the global body of evidence which tells us that people who are more socially connected to family, friends or their community are happier, physically healthier and live longer with fewer mental health problems. If you would like to improve certain relationships in your life, a counsellor may be able to help. To find out more, take a look at our relationship issues fact-sheet. Read and comment on the original Huffington Post article.